Disneyland (Anaheim California) is home to the original Haunted Mansion and an amazing hybrid holiday overlay known as the Haunted Mansion Holiday. Jack Skellington and crew, from “The Nightmare Before Christmas” take over the iconic haunted house from Halloween to Christmas for a magically macabre make-over. While we can’t provide you with a Christmas list of where to find the delightfully dark décor that materializes in the mansion each season, we have consulted with Santa’s elves (internet department) and compiled a collection of creepy cool considerations for transforming your home into a happily haunted holiday. Trim the tree with terror-ific trinkets. 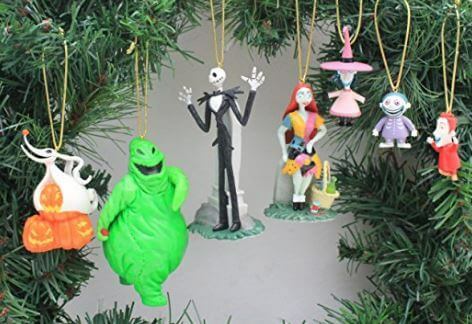 These Haunted Mansion and “Nightmare Before Christmas” holiday ornaments are sure to put a smile on dear old Sandy Claws’ face. Ezra, Gus and Phineas have materialized just in time to haunt your holiday. Be sure to anchor these holiday spirits with an ornament hook to prevent them from hitching a ride elsewhere. 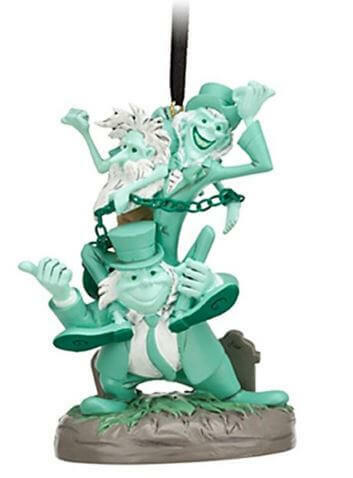 These five fiendish fellows are ready to bring harmony to your Christmas tree. Removable hangers make them a great addition to your Haunted Mansion collection curio cabinet as well. 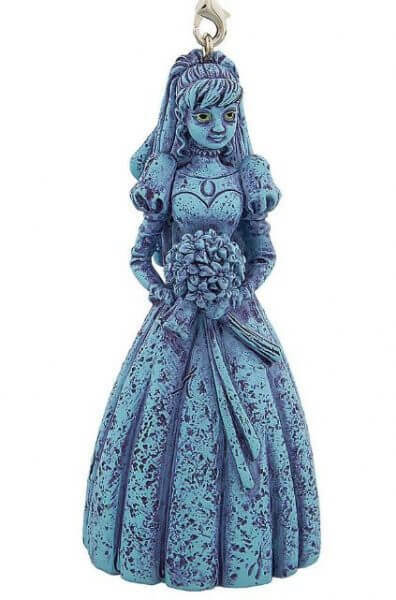 Holding her hatchet, buried beneath a bouquet of flowers, this Haunted Mansion attic ghostly resident is ready to haunt your home for a holiday season that’s to die for. 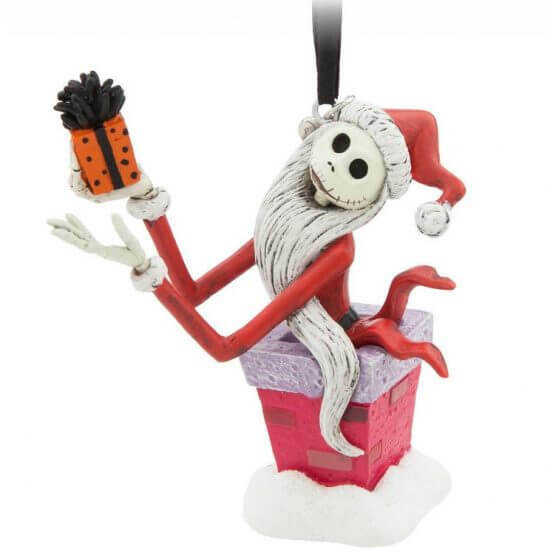 Perched atop a chimney, surrounded by bright white snow, Jack Skellington is ready to welcome Christmas into your home. Don’t gamble with the garnishes to your tree this year. 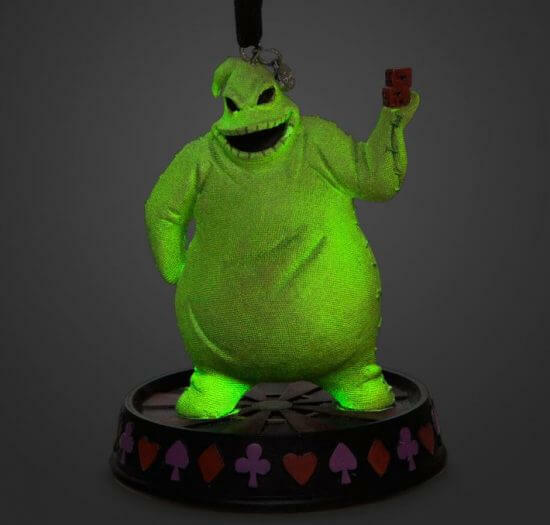 Add this glow in the dark Oogie Boogie ornament to your tree, knowing that trouble is close at hand. 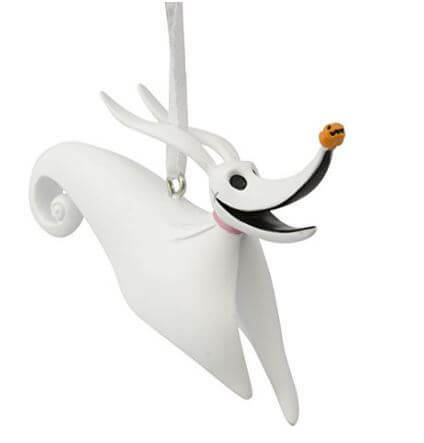 The Rudolph of Halloween Town is ready to glide onto your tree for a holiday visit. 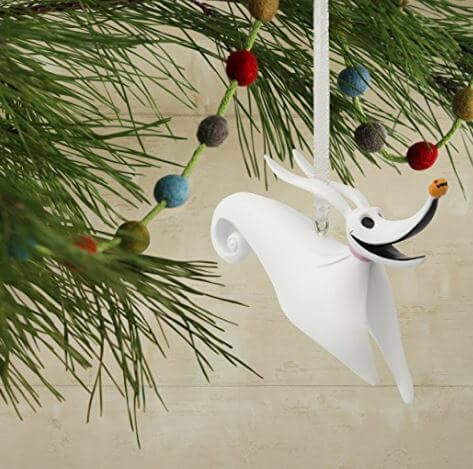 This ghostly dog pal of Jack Skellington is an affordable way to add some Nightmarish fun to your tree trimming. You’ll want to keep these three away from line of sight on the fireplace, lest you want Santa kidnapped again. 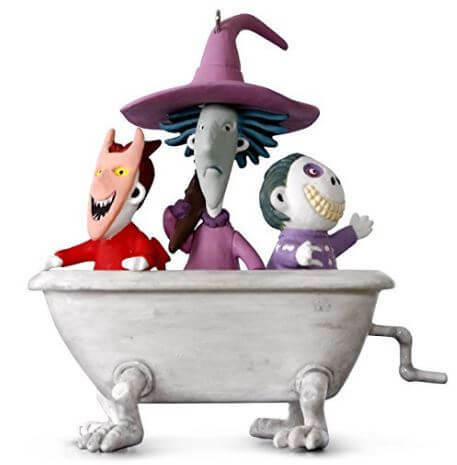 Lock, Shock and Barrel, seated in their walking bathtub will even sing their plans to you at the push of a button. Jack, Sally, Zero, Oogie, Lock, Shock, and Barrel are ready to help you relive your Nightmare before Christmas. Perfect for homes their own little nightmares, as these ornaments a bit more durable than resin or glass ones. 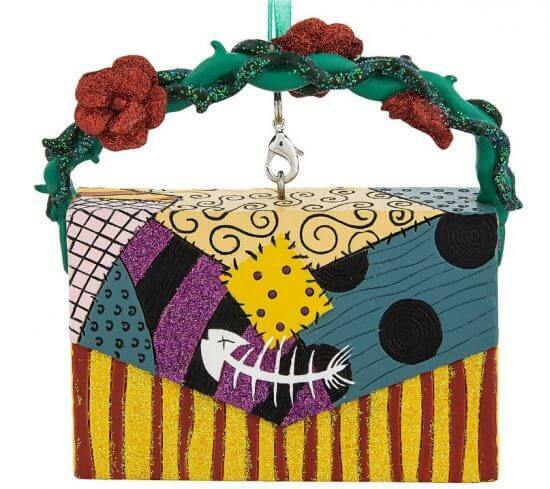 For a more subtle “Nightmare Before Christmas” piece, hang this holiday handbag inspired by Sally’s dress worn in the stop motion animation feature.